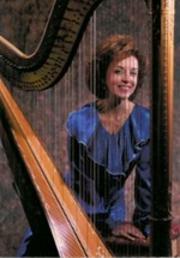 Sydney Howell has been performing and teaching harp for 40 years. She grew up in Ft. Worth, Texas and has degrees from North Texas University and The New England Conservatory of Music in Boston. She played with the Fort Worth Symphony for 15 years and taught harp at Texas Christian University for 29 years. She also played at High Tea in the Worthington Hotel in Ft. Worth, Texas for five years.